LAVAL, QUEBEC, CANADA – September 19, 2017 – Prometic Life Sciences Inc. (TSX: PLI) (OTCQX: PFSCF) (Prometic) today announced that longer-term data from its on-going phase 2 open label clinical trial in subjects suffering from Alström Syndrome in the United Kingdom confirm that the beneficial clinical effects previously observed are sustained during prolonged treatment. The clinical study has now enrolled 12 subjects. Given the evidence of clinical benefit and continuing safety and tolerability, the Data Safety Monitoring Board (DSMB) and Medicines and Healthcare products Regulatory Agency (MHRA) have allowed for 2 successive extensions of the duration of treatment. The duration of treatment has been extended from the original 24 weeks for an additional 36 weeks, and then once more for a further 12 weeks (total of 72 weeks). This last extension was to ensure that subjects could remain on treatment while the regulatory authorities are reviewing a rollover protocol which, if approved, would allow subjects to remain on treatment for an additional period of up to 96 weeks, or until regulatory approval is obtained in the UK. “Pierre Laurin, Prometic’s President and Chief Executive Officer, stated “We believe we now have enough convincing clinical data to trigger meetings with both the Euopean and the US regulatory authories to determine the clinical-regulatory pathway for these patients, who are in dire need. We intend to hold such meetings in the fall of this year to determine whether this ultra-rare pediatric unmet medical need could formally become an indication granted priority review”. Alström syndrome is a rare inherited autosomal recessive syndrome characterized by the onset of obesity in childhood or adolescence, Type 2 diabetes, often with severe insulin resistance, dyslipidemia, hypertension and severe multi-organ fibrosis involving the liver, kidney and heart. Alström syndrome is also characterized by a progressive loss of vision and hearing, a form of heart disease that weakens the heart muscle (dilated cardiomyopathy), and short stature. This disorder can also cause serious or life-threatening medical problems involving the liver, kidneys, bladder, and lungs. The clinical manifestations of Alström syndrome vary in severity, and not all affected individuals have all of the features associated with the disorder. PBI-4050 is an orally active lead drug candidate with excellent safety and efficacy profiles confirmed in several in vivo experiments targeting fibrosis. Fibrosis is a very complex process by which continuing inflammation causes vital organs to lose their function as normal tissue is replaced by fibrotic scar tissue. The proof of concept data generated to date confirms’ the anti-fibrotic activity of PBI-4050 in several key organs including the kidneys, the heart, the lungs and the liver. It is also effective in improving glucose control in animal models of diabetes. 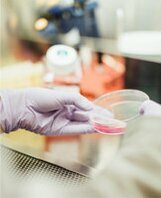 Open label Phase 2 studies in idiopathic pulmonary fibrosis and in Type 2 diabetes have provided preliminary evidence that the results seen in preclinical models translate into the corresponding human diseases. About Prometic Life Sciences Inc. Prometic Life Sciences Inc. (www.prometic.com) is a long-established biopharmaceutical company with globally recognized expertise in bioseparations, plasma-derived therapeutics and small-molecule drug development. Prometic is active in developing its own novel small-molecule therapeutic products targeting unmet medical needs in the field of fibrosis, cancer and autoimmune diseases/inflammation. A number of plasma-derived and small molecule products are under development for orphan drug indications. Prometic also offers its state-of-the-art technologies for large-scale purification of biologics, drug development, proteomics and the elimination of pathogens to a growing base of industry leaders and uses its own affinity technology that provides for highly efficient extraction and purification of therapeutic proteins from human plasma in order to develop best-in-class therapeutics and orphan drugs. Headquartered in Laval (Canada), Prometic has R&D facilities in the UK, the U.S. and Canada, manufacturing facilities in the UK and commercial activities in the U.S., Canada, Europe and Asia. Taking place 29-30 September, 2017 at Palazzo della Salute, Padua, Italy. An itinerary can be viewed here. 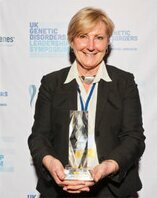 Kay Parkinson was awarded “Champion of Hope Award 2017”, at the Genetic Disorders UK conference in March. The award was for setting up Alström Syndrome Europe. Previous meetings have been held as follows: 2014 – ASEU Meeting in Birmingham, UK; 2015 – ASEU Meeting in Italy; 2016 – ASEU Meeting in Madrid. 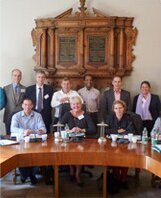 Pictured are Alström Syndrome members at the inaugural meeting of ASEU in 2013, hosted by Professor Helene Dollfus in Strasbourg. European Commission grants Orphan Drug Designation to Prometic’s PBI-4050 drug for the treatment of Alström Syndrome.